In this class we'll draw inspiration from the cooler, moody tones of autumn. 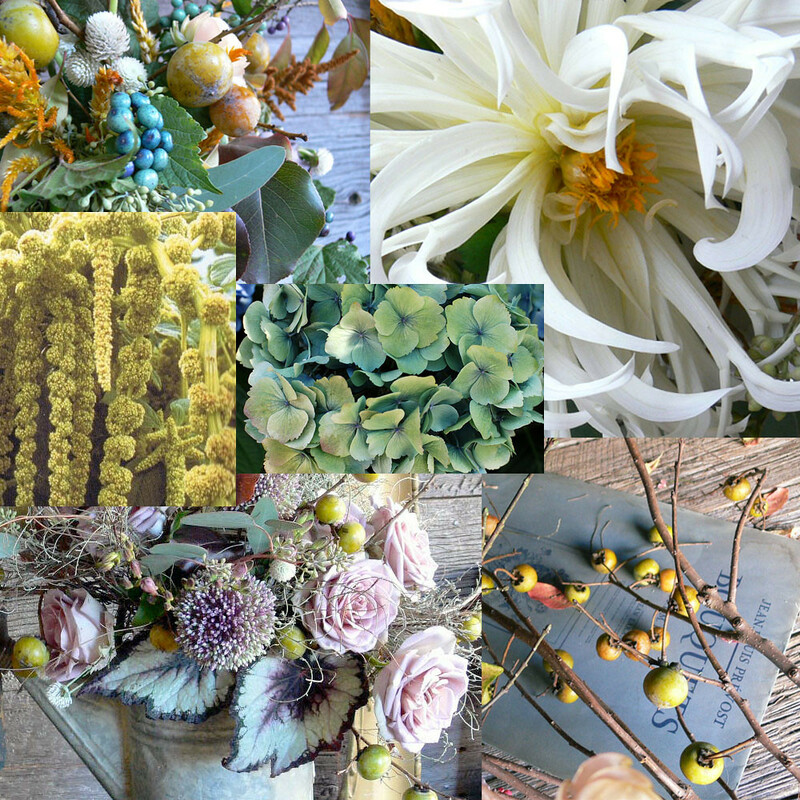 We’ll play with powdery blue antique hydrangeas, silvery Russian olive, dusty miller, multiple varieties of begonias, black privet berry, bronze amaranthus, robbin's egg blue porcelain vine, creamy dinner plate dahlias and a sprinkling of ranunculus. Each student will learn the basic principles of floral composition and create a lush & sprawling Autumnal arrangement in an antique metal urn. All classes are limited to 10 students, unless otherwise noted. Of course, class will finish with a champagne toast and treats.